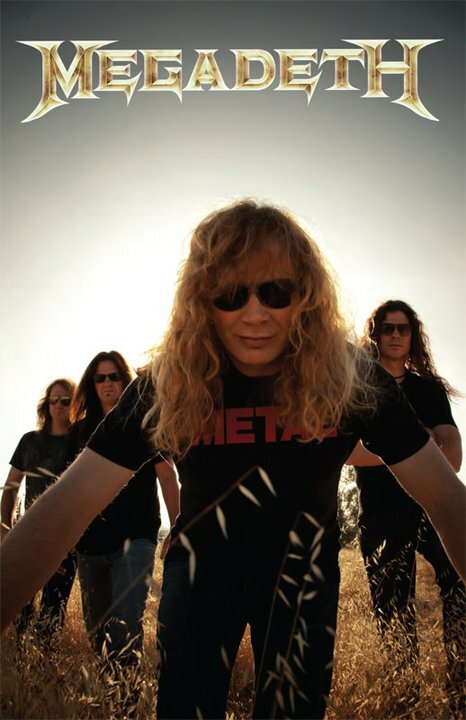 Megadeth continue to work in the studio on their new album. The latest effort is the band’s 14th project and they are once again teamed with producer Johnny K.
The group is sharing new footage of Dave Mustaine, Shawn Drover and Chris Broderick recording tracks at Vic's Garage studio in San Marcos, California during mid-January. Megadeth are nominated in the Best Hard Rock/Metal Performance category at the 55th annual Grammy Awards, which happen February 10 in Los Angeles. The track "Whose Life (Is It Anyways?)" is from the group’s 2011 effort, “Thirteen” – the same name is being used by Black Sabbath for their reunion album due later this year.